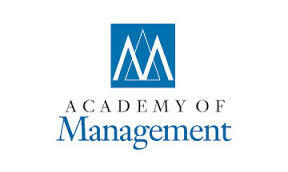 This summer at Vancouver, during last conference « Academy of Management Annual Meeting » Clemens Rüling and his co-authors received the prize of the“AMJ Best Article 2014” for their article on the evolution of United Nations conferences on climate change. Their paper has integrated the permanent collection of the “Best article winners” . This paper highlighted the contested nature of the idea of climate change, a critical and under-researched issue in organization theory research; but also an issue that is one of the grand challenges of this age. In doing so, the work, highlights the complexity of dealing with a very important problem at the field level, in a context for which there is no clear template or paradigm. It illustrates not only how the field influences the various actors, but also how those actors attempt to influence the field as indicated by the changing nature of Conference of Parties (COP) interaction dynamics. The differentiation of Phase 1 and Phase 2 COPs, as well as of regular COPs and the high stake nature of the COPs sheds light on field configuration in the transnational realm via a comprehensive view from the top. The authors are able to exploit the richness of their data partly due to the extensive experience of one of the co-authors in the domain of climate policy. There authors developed a rich set of data from multiple sources and displayed a great deal of innovation in the analysis of this data. The paper offers insights to policy makers, regulators, governments, academics, etc. on the implications of the processes of field configuration, increasing field complexity, and limitations of COP events, and hints that transnational climate policy should potentially be "managed" differently.